Mason Czaikowski grew up in Stevens Point and wants to stay in the community. Going to the local university made sense economically and gave him a learning experience at a local business. A business administration major with a finance, insurance, real estate (FIRE) concentration, Czaikowski is now a senior. He began interning at Skyward, a growing educational software firm, in March 2017. He continues to intern there while completing his degree, learning both in class and on the job as a customer support financial consultant. Skyward has a robust internship program, averaging more than 30 interns a year of UW-Stevens Point students in various departments. Skyward is one of more than 50 employers in the central Wisconsin region that provide real-world experience to students through internships, said Ricardo Boeing, assistant professor of business and internship director for the School of Business and Economics at UW-Stevens Point. Nearly two-thirds of those completing internships ultimately receive job offers from these employers, he said. The greatest number of students have internships in the summer. In business fields, they intern at banks, accounting firms, insurance companies, nonprofit organizations, restaurants, manufacturing and others. Many students intern for course credit, and their grade is based in part on an evaluation from their internship supervisor. That feedback is helpful to students honing skills to succeed in any career path, Boeing said. Feedback is also helpful to Boeing and business faculty in terms of enhancing courses with information students need for various careers. 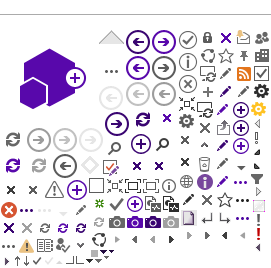 Based on employer input, for example, he is building knowledge of graphic design into a marketing class. 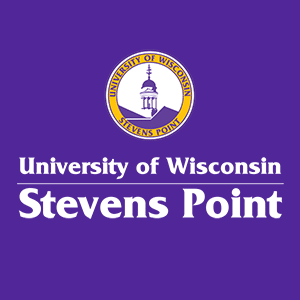 The concentrations of marketing, management and finance are targeted to be become majors at UW-Stevens Point later this year. Internships are just one way business students become engaged in career options while pursuing coursework. During “Kickstart your Career” programming, students have opportunities to network with area employers. They hear from business leaders, learn resume writing, interviewing and even dining etiquette tips. It is part of a series of optional events they can attend throughout the academic year, many of which provide course credit. SBE Events includes speakers, workshops and field trips to introduce School of Business and Economics students to career paths. The School of Business and Economics, which is accreditedby the Association to Advance Collegiate Schools of Business (AACSB), has been acknowledged for effective student engagement because of programs such as these, noted Gary Mullins, professor and chair. Coursework and SBE Events at UW-Stevens Point have helped Czaikowski prepare for the future, professionally and personally. From communication and leadership skills to business management and organization, classroom learning and hands-on experience at Skyward have helped Czaikowski set goals and chase dreams, he said. When he graduates in May, one dream will be realized: Czaikowski will begin working full-time at Skyward.